The UK voted for Brexit last June, but what does Brexit actually mean? The UK can pursue various options: staying in the Single Market, staying in the Customs Union, or forming a Free Trade Area. These are often used interchangeably as various forms of a “soft Brexit”, but there are important distinctions between them. The goal of this article is to clarify the various options available to the UK, but without imposing my own views. The spirit is similar to my articles last year, The Case for Brexit and The Case for Remain, where I presented both sides of the Brexit debate. The UK can remain part of the single market but not the EU (e.g., Norway, Iceland, and Liechtenstein are members of the European Economic Area (“EEA”)). The single market includes the free movement of goods, services, capital, and people, as well as no tariffs on trade. The UK would be free to strike its own external trade deals if part of the single market but not customs union. The EEA does not involve a customs union, nor common agricultural and fisheries policies, common trade policy, or common foreign and security policy. Complying with various rules and regulations, such as food and safety standards, working hours, and chemical materials and packaging standards. Paying annual dues to the EU’s budget. Accepting jurisdiction of the European Court of Justice (“ECJ”). Keeping most EU laws (e.g., Norway incorporates approximately ¾ of EU law). No right to vote on these laws. The UK can remain part of a customs union with the EU but not the single market (e.g., Turkey). The EU customs union is the world’s largest in terms of output, which gives it considerable bargaining power to negotiate trade deals. The UK may lose its influence if outside the customs union. It dispenses with the EU’s four freedoms (free movement of goods, services, capital, and labor). In particular, the UK would have full control over its immigration policy. However, UK citizens would equally lose the right to travel and work freely in the EU. It may be that no EU budget contributions would be required, although this would have to be negotiated. 75% of customs duties collected when a good is imported into the EU goes into the EU coffers, and this accounts for 20% of the EU budget. Thus, in return for a customs union with the UK, the EU might ask for a contribution to replace the lost revenue. The main disadvantage is that the UK could not engage in free-trade deals with third countries. It would have to accept the trade deals that the EU negotiates, which aim to benefit EU industries as a whole and are not necessarily aligned with UK interests. It is not clear that a customs union arrangement will even be an option for the UK, as the customs union with Turkey was established as a precursor to EU membership. However, it is necessary to operate rules-of-origin inspections among members of a FTA, which is costly. In addition, there are normally exceptions to a trade agreement: some industries may be protected and some goods exempt. Services, such as education and banking, face non-tariff barriers and long, complicated negotiations. In particular, London may lose its status as the “gateway to Europe” for banks. Indeed, I am unaware of any FTA in financial services anywhere in the world. Switzerland has lots of trade deals, but none in financial services. For example, Switzerland has agreed to the free movement of people and contribute to the EU’s budget. UK businesses selling their products into the EU would still have to adhere to EU products standards and regulation, but the UK would not have any influence on these rules. The UK Government would no longer be automatically entitled to challenge EU legislation before the ECJ. The UK would have independent trade policy control with regard to external countries, possibly lowering trade barriers elsewhere to offset potential losses with the EU. The UK would no longer benefit from FTAs between the EU and other countries, of which there are over 50. Thanks to LBS Finance PhD student Trevor Young for research assistance with this article. If there are any errors or omissions, I would very much appreciate you correcting me with a comment. 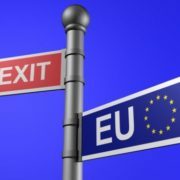 The Brexit vote was disappointing, for the reasons I wrote about in my earlier post. But, what’s done can’t be changed. What’s the best way to respond to it? It’s hugely tempting to accuse the Brexiteers of being racist or stupid. We share with glee how some admit that they were conned by Farage and would have voted differently. We paint nightmare scenarios of how bad a post-Brexit world will be. But, this won’t change anything. If your house burns down, don’t blame the fire service for not responding faster, or lament how bad your life will be without your house – you build it back up again. It’s the same here. A post-Brexit world will only be disastrous if we allow it to be. Instead, every single person has a role to play in safeguarding the UK’s future. We should respond to Brexit like any recession or bad event. 9/11 was a far greater disaster than Brexit; those responsible had far worse motives. Yet, most of the world responded not through hatred, but through solidarity, and the economy recovered sharply in 2003-2008. Patients diagnosed with a terminal illness sometimes beat it through mindset. Leicester City or Iceland punch way above their weight due to self-belief. It’s the same with the economy. John Maynard Keynes referred to this as “animal spirits”, others call it “business confidence”. If companies stop investing, if skilled workers emigrate, if consumers stop spending, then we will indeed have a nightmare scenario – but brought on by our own doing, not by Brexit. – The EU can’t slam the UK with the worst trade deal possible. Under World Trade Organization rules, the UK has “most-favoured-nation” status with the EU – i.e. is entitled to the best deal that the EU gives to any other country. – The UK has 2 years to negotiate a trade deal, and will benefit from the Single Market until then. There will be no sudden impact on trade. – The UK can start negotiating trade deals with many countries the EU never had trade deals with. – There are many other reasons firms invest in the UK. E.g. London is uniquely attractive due to the English language, low taxes, low regulation, skilled labour, expertise in accounting and law. – The UK need not turn anti-immigration. It can still welcome immigrants, but adopt a policy tailored to its own requirements, rather than the EU’s (e.g. restrict low-skilled workers and attract high-skilled ones). A progressive policy can keep EU nurses in the UK and not harm the NHS. – The UK can participate in research funding programmes (e.g. Horizon 2020) by buying back into it, as Norway and Israel do. Both the pound and stock market tumbled immediately after the result was announced. This gives us the opportunity to buy equities cheaply, or pounds cheaply and invest the money in the money in the UK. I’m not saying that you should necessarily invest right now – wait until things stabilise – but investment opportunities well be more attractive than previously. 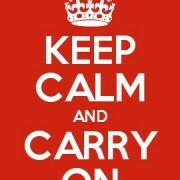 For those without spare cash to invest, don’t panic and cash out because markets have fallen. Stock prices depend on (1) expected return and (2) risk. The stock market downturn has been largely due to uncertainty as to what’s next (2) rather than conviction that the post-Brexit world will definitely be disastrous (1). Things are likely to rebound once a new PM is elected, trade deals are made etc. On 24 June, the FTSE 100 plummeted 8.7% immediately after Brexit, only to recover 5.5% by the end of the day, and actually ended the week higher than it started. One caveat is that the FTSE 100 contains many multinationals which will have benefited from the decline in the pound. The FTSE 250 comprises predominantly domestic companies, and also exhibited a rebound, but it was more modest. The initial fall was 9.2%, and it subsequently recovered 2.6% by the end of the day. Someone on Twitter said he’s just graduated and about to start his career, and asked me what he should do differently post-Brexit. The answer is nothing. Promotion and relocation opportunities exist as they did before. The way to get promotion (hard work and initiative) is the same as before. Skilled workers can get visas and relocate. I spent 10 years in the US surrounded by others on student or worker visas like me. I joined Morgan Stanley two months before the horrible tragedy that was 9/11. There were four rounds of major cuts in my two years there. But, this again provided opportunities. As a first-year analyst, I had no Associate and so worked directly with a VP and an MD. I went to meetings that I wouldn’t have had a hope of going to if the economy was booming and we were well staffed. Virtually any analyst that stayed for the full three years was promoted to Associate afterwards, because we had so few Associates due to the culls. The game hasn’t changed for business either. The business environment will be harder if we have trade barriers. But, businesses need to make their products and services so attractive that consumers will buy them despite import duty. And this is entirely possible – most household products (Toyota, Apple) are from outside the EU. Businesses and employees need to work hard and work smart. But, they needed to do that before Brexit anyway. One of the positives of the referendum is that many people who would not normally be interested in economics or politics have been highly engaged. Keep it that way, long after the referendum has blown over: see point 1 below. Many Remainers complain that Brexit was driven by uneducated people who didn’t know the facts. Well, the solution is then education, not blame. We should teach financial literacy and basic economics in schools (starting before A-level), and even for adults. It’s the absence of basic economic training that allowed Farage and co to delude millions. Economics is often seen as the “dismal science”, and only necessary for those who want to become evil bankers. But, it’s key to ordinary folk being engaged in what affects their own country. The effects extend far beyond voting – predatory lending by payday lenders, and mis-selling of Payment Protection Insurance, exploit financial illiteracy. The thinking behind referendums is well-intentioned – to give the public a say. And, referendums may well work for decisions that are largely opinion-based (e.g. gay marriage), but not for complex ones where a deep understanding of the facts is important. We’d never hold a referendum over the government’s health policy as that should be led by scientists. But, for some reason, for economics, everybody believes that they’re an expert, when economics is as complex as medicine. This applies far beyond national decisions. On the same day as the referendum, I was debating executive compensation with Sir Vince Cable. He said, were he still in power, he’d require employees to be consulted on CEO pay packages. The intent is benign, but the solution is chaotic. CEO pay is an extremely complex issue which extends far beyond the level of pay. Should we give stock or options? Should they vest all at once, or over time? What’s the optimal vesting period? Should we index it to industry performance or market performance? Not even boards of directors understand all these issues, it’s unlikely that the average employee can. The referendum highlighted how knowledge of the facts is essential to make correct decisions. This may seem obvious, but is often under-appreciated. Going back to CEO pay (just because I know this topic well), Sir Vince was arguing that there is no relation between pay and performance, perhaps because there was one example of a CEO who was well-paid despite failing – but that’s simply untrue when looking at firms in general. Forming policy based on a couple of outliers is just as bad as saying that all immigrants are scroungers because the Daily Mail reported one case of a scrounging immigrant. The media will only report the most egregious cases because this attracts attention. A case of a hard-working immigrant, or a CEO paid for performance, isn’t news, just like “London Bridge Failed To Collapse Today” isn’t a headline. To form an opinion, you need to consider all the evidence, not just one example. And that’s the role of academic research. Academics are often accused of being disconnected. And, we certainly know less about one particular company than a director or even employee at that company. But, this disconnection is a strength, rather than a weakness, because it allows us to study thousands of companies. Similarly, whatever decision we make – on immigration, education, or health – should be based on studying thousands of immigrants, pupils, and patients. With apologies to Jane Austen, rhetoric may incite short-term Pride and Prejudice, but it’s data that drives long-term Sense and Sensibility. Today is perhaps the biggest decision the UK will ever face. Under 18s will be most affected by this decision but can’t vote. Brits can. More important than which way we vote is that we should vote. I’m normally politically apathetic (only voted once) but this is such a key decision, I’ve spent hours researching the facts and evidence (often misportrayed) with an open mind – in fact, I earlier posted a detailed blog on the case for Brexit). After all that, my personal view is overwhelmingly for Remain. 1) JOBS. Thousands of firms are here because of access to the Single Market – a “passport” that allows them to sell to 500m customers in 28 countries, rather than 60m in 1. 40% of international firms’ European HQs are in London. (#2 is Paris with only 8%.) Many will relocate significantly to the EU upon Brexit. JP Morgan stated they’ll cut 4,000 jobs, HSBC 1,000. 2/3 of the financial services industry is outside London; it’s not just rich bankers. (Source: Alastair Lukies in CityAM). What about non-UK folks stealing UK jobs? The evidence just doesn’t support this. The LSE’s Centre for Economic Performance found that immigration doesn’t harm wages, jobs, or public services. Immigrants buy goods and services, generating employment for Brits. 2) INVESTMENT. 70% of investors in the UK link their decision to invest to the UK being in the Single Market. Investment provides jobs. – The average time to broker a trade deal is 28 months. It’s true the UK will benefit from the Single Market for 24 months post-Brexit. But, 28 months is the relevant figure. From month 1 (not month 25), firms will reduce investment due to uncertainty. They already have been. – The UK will still be the world’s #5 economy. But, the RANK is not what matters, but the RELATIVE SIZE. The UK will be far, far smaller than (say) China, and be dictated to in trade negotiations. 4) THE ECONOMY. Stock markets aren’t always right. But, they’re pretty good. 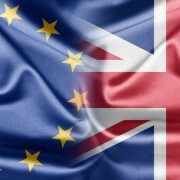 The market jumped 3% on Monday upon hopes of Remain. That’s £60 billion pounds. The stock market isn’t owned just by the mega-rich – but also by pension funds and insurance companies. And, it’s not just paper money. Let’s say the probability of Remain rose by 10% on Monday. A £60bn rise means that the UK economy will be worth (in terms of output) £600bn more upon Remain. (£60bn = 10% * £600bn). The National Institute of Economic and Social Research forecasts GDP in 2019 will fall by 2.1-3.5%, reducing public finances by £20-40bn (AFTER including the reduced EU contribution). The Institute for Fiscal Studies predicts that “Austerity would be extended by another year (optimistic scenario) or another two years” – leading to further job losses. 5) SCIENCE AND TECHNOLOGY. Over 50% of nanotechnology and evolutionary biology funding comes from the EU. A common funding source helps collaboration between EU labs. Otherwise, a project between labs in 3 countries would require 3 separate applications. Digital Science forecasts that Brexit would cost UK science £1 bn. Source: The Economist. Both the UK and Eire being in the EU has played a major role in maintaining peace in Northern Ireland. The UK’s membership of EU was a big factor behind Scotland’s decision to stay in the UK. 7) ENTREPRENEURSHIP / SMALL BUSINESSES. The Single Market catalyses startups, giving them access to 28 countries and helping them get off the ground. TransferWise (Estonia founded, UK based) has used it to expand across the EU. (Source: Alastair Lukies). 8) LESS BUREAUCRACY. Much is made out of EU’s overregulation. But, EU membership /reduces/ a lot of paperwork – in many areas that the public might not even realise. Over half of channels broadcasting in more than EU state do so out of the UK, like Discovery Channel and MTV, using only one single license. If UK were outside, broadcasters would have to get separate licenses in all EU states (or leave UK). (Source: Alastair Lukies). 9) FREEDOM. A UK passport gives the right to travel, work, study, retire anywhere in the EU – without having to get visas (again, LESS bureaucracy, not more). This provides tremendous job and educational opportunities – but more importantly, culture and life experience ones. 1) UNELECTED BRUSSELS BUREAUCRATS. There are only 55,000 EU civil servants. The UK has 393,000. We don’t vote for Treasury or Home Office officials, or the Governor of the Bank of England. Source: LSE’s Nicholas Barr. 2) COST. Cost of EU membership is < 30p per person per day. Even a small reduction in trade or investment would dwarf any savings. I’m strongly in favour of the UK remaining part of the EU. However, I recently went to a talk given by a Brexit supporter, to hear the other side. I believe that he/she gave some persuasive arguments. Even though I don’t agree with all of them, I thought to share them here, since it is important for voters to be informed about both sides. 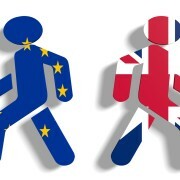 I’ve supplemented them with perspectives from an excellent report by Capital Economics, commissioned by Woodford Funds, at https://woodfordfunds.com/brexit. Feel free to comment if you disagree! Will the UK be able to negotiate a trade deal post-Brexit? The EU might refuse to deal as punishment for Brexit – in particular to deter others from leaving. The UK suffers the burden of EU regulation across the whole economy, not just the part that trades with the EU. The UK’s exports to the EU are 14% of the economy, but concern for this 14% leads to rules affecting the entire economy. The media likes to cover “annoying” rules, e.g. that hairdressers can’t wear high heels. But, these are relatively unimportant. As a EU member, the UK benefits from “passporting rights”. A US bank with a branch in the UK can sell to the rest of the EU without having a branch there. If the UK loses its passporting rights, its exports of financial services to the EU could halve from £19.4bn to about £10bn. Brexit would enable the UK to adopt a policy more tailored to its own requirements, vs. the EU’s one-size-fits-all policy – e.g. restrict low-skilled workers and attract high-skilled workers. Would Brexit lead to Scotland leaving the UK?